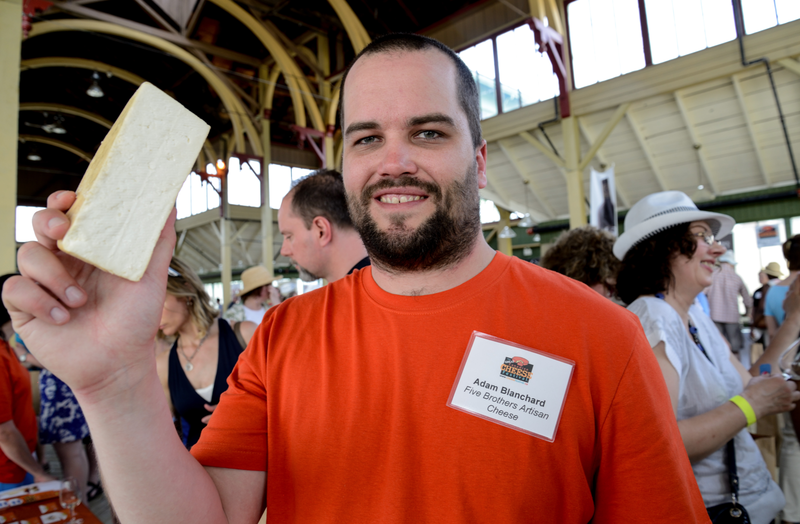 In 2011 Adam Blanchard bought a two-pound cheese press online and taught himself cheese making, initially for friends and family but he eventually set up a stall at the St. John’s Farmers Market in 2011. He sold out in two weeks. The response from customers was enthusiasm mixed with a bit of shock. “The look on some people’s faces, I’ll never forget. ‘Cheese?’ they would say. And I would say, ‘Absolutely.’ ” No one had ever come across hand-made cheese in Newfoundland before- until Five Brother’s Cheese came along. I was lucky enough to meet Adam and catch up with my friend Julia Bannister (Five Brother’s retail manager) at the Great Canadian Cheese Festival in Picton. 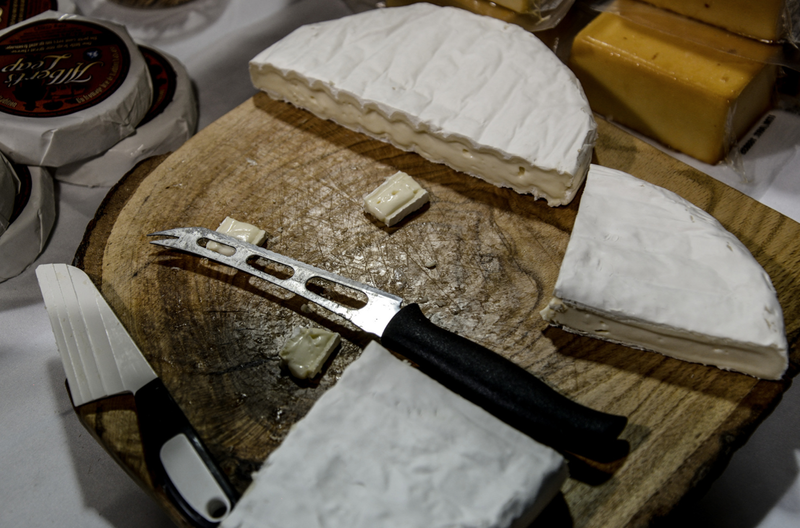 He was sampling his smoked cheddar, queso fresco and fresh mozzarella but he also makes a Monterey Jack and looking to make some chevre in the future (maybe in his new space??). You can read more about Adam in my Globe piece (get that thing tweeting for the East Coast!) 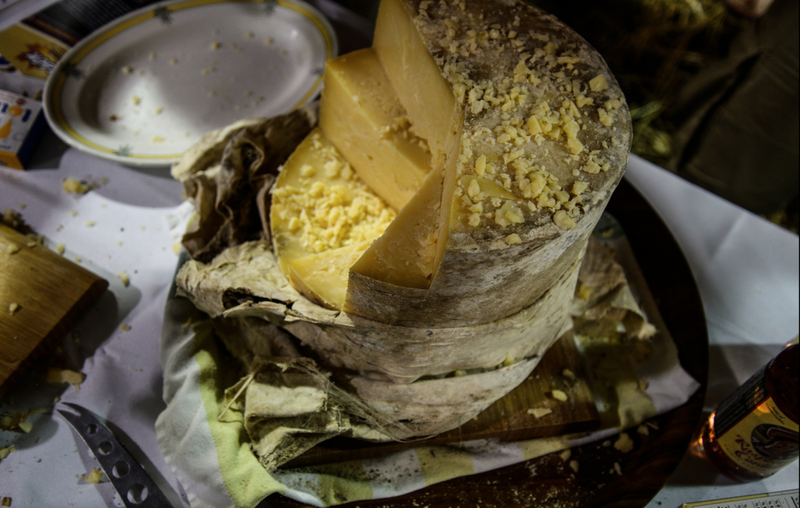 and also get Kelsie Parson’s perspective on cheese and the food scene from his visit to Newfoundland last year. A packed house Saturday AM–can you find Felix and I? 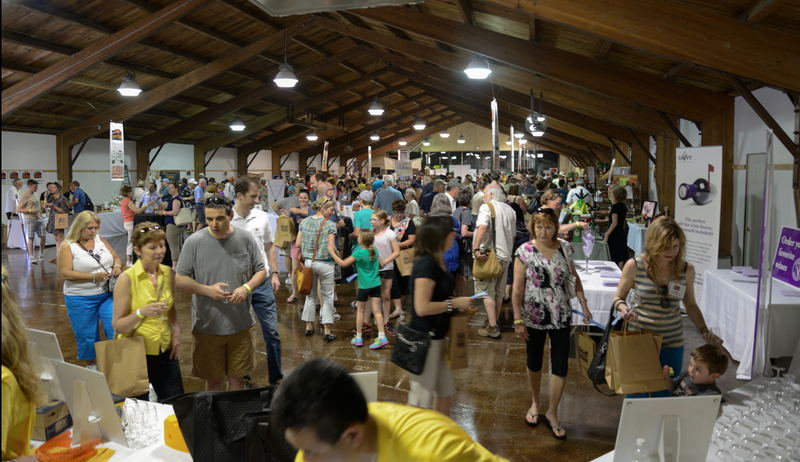 I’d also like to share some pics from the amazing Great Canadian Cheese Festival this year, 4000 people and 3 dozen cheese makers from across Canada. 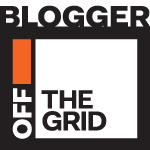 It was so much fun, there was so much great food–cheese, sausages, condiments, wine, cider and beer that I just kept running out of sampling tickets! 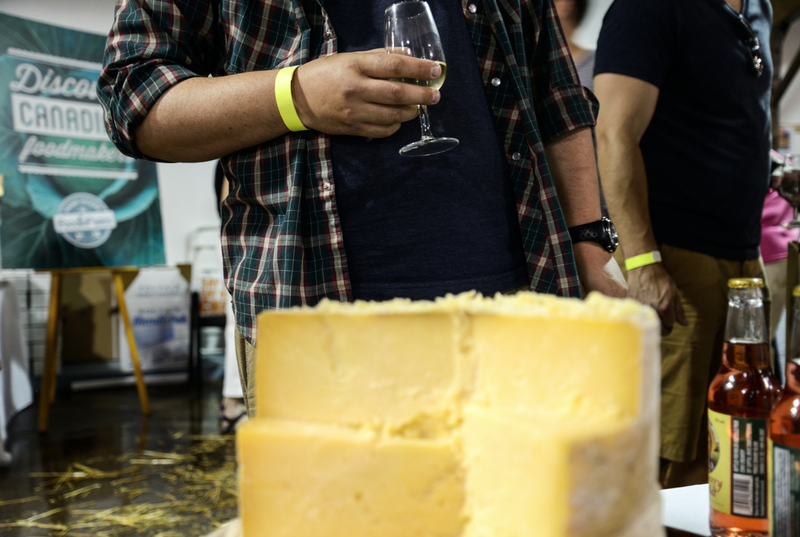 This is such an amazing event–there are tutored tastings run through the weekend and I always learn so much while eating amazing cheese (thanks Julia Rogers and Cheese Culture). I also got out to do some wine tasting at Clossen Chase (love their chardonnay) and Hinterland (love all their sparkling wine-amazing). But sounds like Norman Hardie’s was the place to party that weekend. He was hosting a bunch of people including the whole Five Brothers crew. 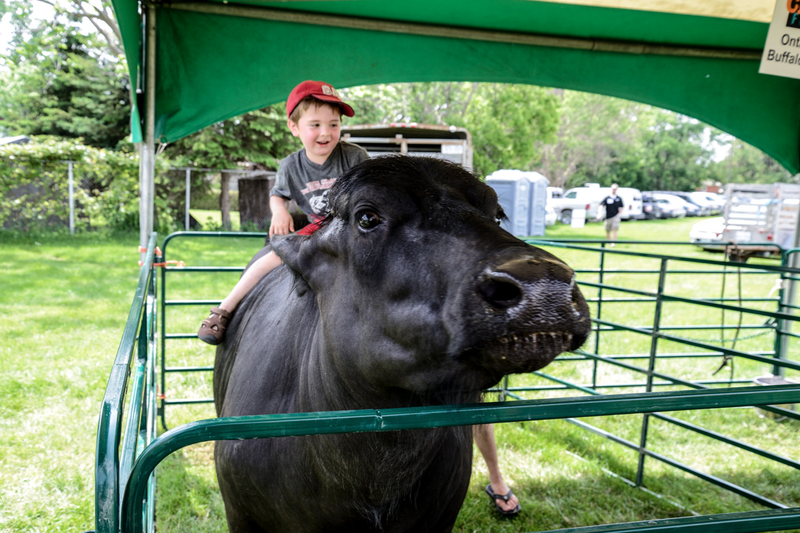 … is Felix riding Yvette, the water buffalo who lives on one of the two water buffalo farms in Ontario. She supplies milk for our fabulous, local buffalo mozzarella. And this could be you next year, sipping wine, eating cheese, wandering around the county…. ( hopefully not aimlessly wandering, its good to have a destination–even if it’s just bed). One of my all-time favourites. 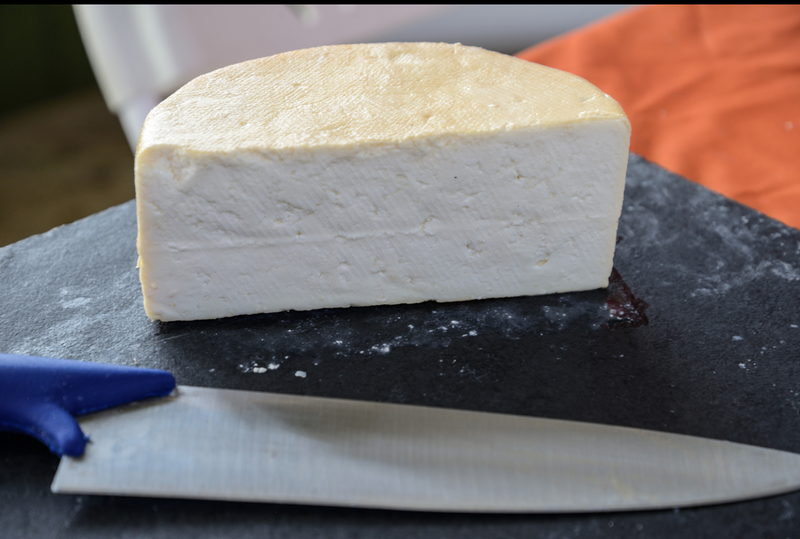 The Avonlea clothbound cheddar, gorgeous as always. Or perhaps you prefer a bloomy rind? Or tasting the “new aged”- like the latest cheese from Finica (makers of the Lindsay Clothbound Cheddar) called Tania. 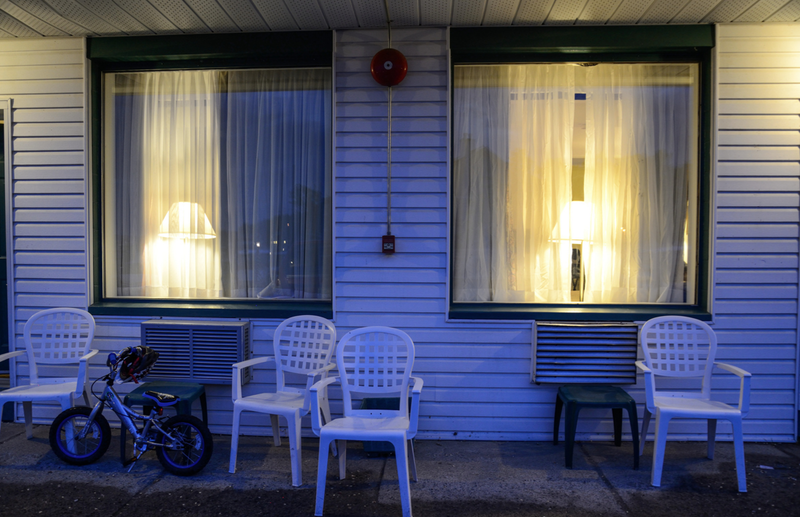 And finally back to kick back on a patio chair outside the Picton Harbour Inn–where are the cool people stayed. Unless you were staying at Norman Hardie’s–then that was cooler. But best breakfast in town right here, or so they say…..